I have a fascination with military history, especially battles and successful commanders. 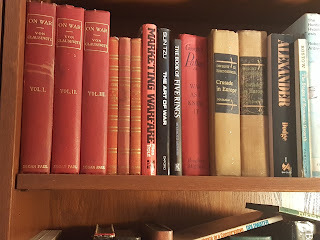 My library includes Sun Tzu (3 different editions- my favorite is the James Clavell version), the three volume set of von Clauswitz’s On War, biographies of Alexander the Great, the Duke of Wellington and Napoleon, Patton’s War As I Knew It, Eisenhower’s War in Europe, Marketing Warfare (Trout and Ries), and more. You get the picture. Recently I’ve been reading Cornell history Professor Barry Strauss, who writes well and extensively on ancient warfare, especially Greek and Roman. Imagine my surprise when I open an email from MarketingProfs and find “Disruptive Marketing Lessons from the Trojan Horse” by Professor Strauss. So I ask myself, “Mark, what have you seen in GovCon over the years that reflects good military thinking?” Here are a few scenarios that came to mind. Micron PC (MPC) in the mid-1990s produced some great computers, but they were competing against some much bigger companies like Dell and Gateway. All three offered built-to-spec mail/phone order computers. The CEO of Micron at that time was a former Dell executive and he wanted blood, but under the guidance of the late, great Harry B. Heisler a plan was developed and deployed to go after market share in the four agencies where MPC had a strong beachhead, not to attack larger, much better financed companies across the board. Advising Harry was fun; flying to Boise from Baltimore less so, unless I was flying out with Tony Colangelo. The result of developing the beachheads produced very significant growth in each agency, more than doubling sales in each agency over the next two years. Use your resources where you have that beachhead, and sell where you are known. CDW launched the “G” division in the early 2000s. In 2004 I was given a tour of the new warehouse in Chicago as part of my introduction to my new client. The warehouse was a true “just in time” delivery powerhouse, as they could get things out the door that day if the order was in by 2:00 pm. My tour guide was the president of CDWG, Jim Shanks. During the tour we were discussing how to differentiate CDWG from GTSI and at the end of the tour I had the answer. At that time GTSI had been the dominant VAR for over twenty years. “How long do you think GTSI takes to ship products?” I asked Jim. He did not know, but I did: Often as long as three weeks. The first differentiator was “Order by 2:00PM and get it the next day.” Finding and exploiting the weakness propelled CDWG past GTSI in a few short years. While this was certainly not the only tactic that CDWG used (great marketing, sales and customer service were part of the package), it was a great way to kick off the offensive. About the same time CDWG was going after GTSI, Juniper Networks deployed a guerrilla marketing campaign against much bigger Cisco. While it had several elements, the most prominent was Farside-esque cartoons in Federal Computer Week. The cartoons took maybe one-eighth of a page and were much less expensive that the two-page ads Cisco was buying. However, the cartoons were what people started looking for in each issue, with every cartoon offering a humorous barb. My personal favorite was a cat using a Cisco router as a litter box. I did not advise Juniper so I don’t know the results, but I do know that there was a TON of buzz around this campaign. Successful guerrilla warfare involves using unconventional tactics effectively, tactics your opponent does not expect and for which they are not prepared. For marketing tactics to be successful you need to know the goal. I knew the goals of MPC and CDWG and they were successful well beyond the original intent. While I loved the Juniper campaign, I don’t know how successful it was, because I have no clue what their goal was. Regardless of whether your problem is a limited budget, and well-financed much bigger opponent, or simply an entrenched enemy, there are ways to erode their market share and possibly displace them altogether. 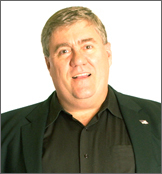 My business development consultant friend Bob Davis once said "Marketshare is rented, never owned." No one stays on top forever, and with a little help, maybe you can expedite their departure. 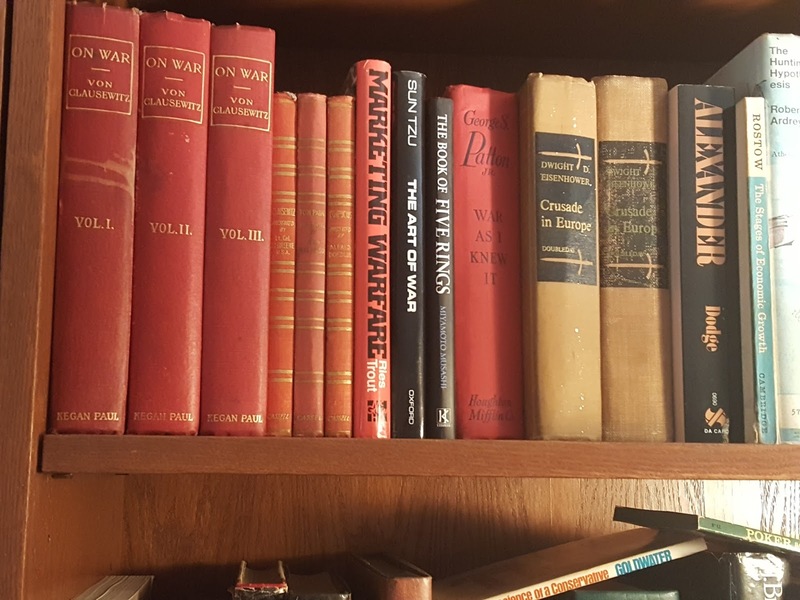 History books have valuable marketing lessons, especially military history. Share your "war story" in the "Comments" area. Will your FY 2017 Kickoff be more of the same? What does your FY 2017 Kickoff look like? Winning government business in 2017 will be harder than ever for smaller businesses. Getting the attention of decision makers has never been easy, so getting and staying on their radar in ways that matter will be more important than ever. - Are you going to be engaging in the same marketing activities as FY 2016? - Have you reviewed your marketing program to make certain it supports your BD and sales? - Do you want the same results as last year? First, unless and until you differentiate your company in ways that matter to buyers and influencers, you will always be one of many, not a company that stands out from the crowd. Second, after you determine your legitimate differentiators you need to clearly enunciate them through your company web site and on LinkedIn. These are the two places where you will be vetted. Third, now that you defined your niche and have clearly enunciated the differentiators, you need to defend the position. Generating and curating content that helps customers and prospects understand the issues and solutions around your area of expertise, and demonstrates that you are a leader in the category. I have developed a half-day workshop that will help your company define and defend areas of expertise, then reach out and share those areas with your key prospect audiences. This workshop combines elements from my three most popular workshops: LinkedIn for GovCon, Developing the Subject Matter Expert Platform and Content Marketing. The “Kickoff” is designed to differentiate your company, leveraging LinkedIn and launch your content marketing program and develop your subject matter expert position without breaking your budget. Each workshop is customized for your company and the market niche where you operate. I am offering an introductory investment fee for the Kickoff workshop of $3,995. The investment will go up to $4,995 on December 9, 2016. Sign up today and reserve your Kickoff workshop. A $1,000 deposit is required to reserve your workshop, with the balance due seven days prior to the workshop. I will require two weeks to develop your workshop. After you reserve your Kickoff at the introductory rate, you can choose any date that works between now and Friday, February 3, 2017.